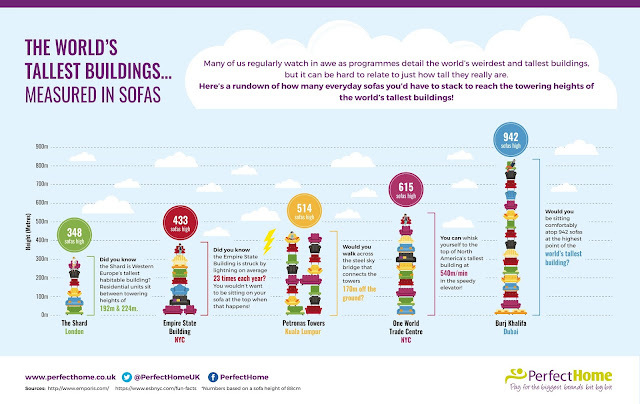 The Worlds Tallest Buildings Measured in Sofas! 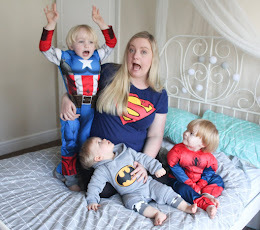 One thing that's been very much on my mind lately...for the past few months in fact...is how much I hate our current sofa! I'm simply dying to replace it but it always ends up falling to the bottom of my list of things to spend my money on...a new sofa is such a big expenditure and I simply can't afford it no matter how much I want one! 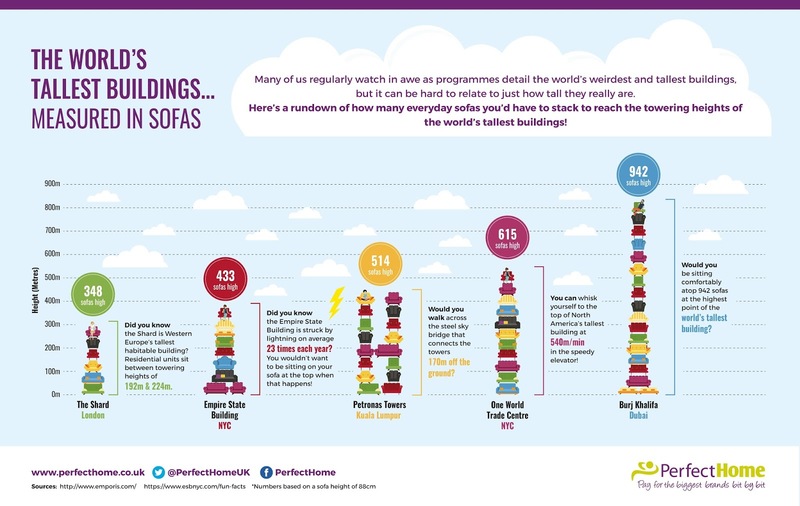 I have been browsing the PerfectHome pay weekly selection lately and am considering that option instead...While looking for sofas, I happened across this infographic on the Worlds tallest buildings...measured in sofas! Pretty random I suppose, but interesting anyway! One thing I wasn't aware of was that the empire state building is struck by lightning on average 23 times each year....eeeek!! Interesting to know that it's approximately 514 sofas tall too! The worlds current tallest building (the Burj Khalifa in Dubai) measures at 942 sofas high - which might not sound all that many, but when you compare it to the mere 348 sofa height of The Shard it starts to seem like a dramatic difference!